High temperatures, scorching sun and a hungry Belles team couldn’t stop the Hot Chauts as they won 7-3 last Thursday at Sharpe Field. 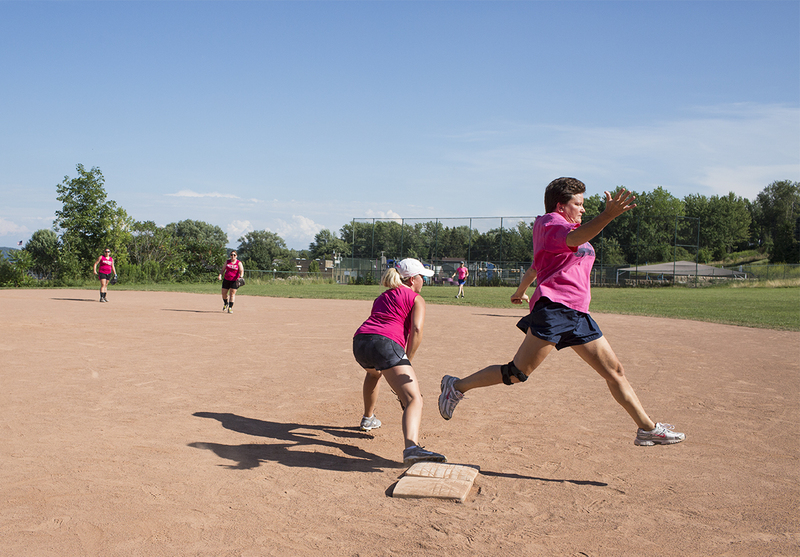 Brandy Ecklund led the way for the Hot Chauts with three hits and two runs. The team took command early with a four-run first inning, giving them a 4-0 lead. The Belles broke the drought in the second inning, scoring a run to make it 4-1. The Hot Chauts wouldn’t give the Belles any chance to dig themselves out of the early hole, scoring two more runs to increase the lead, 6-1. After a scoreless third inning from both teams, the Belles battled back, notching two runs. With the gap starting to close, the Hot Chauts’ Paula Kaus put the game out of reach, knocking a double deep into left-center field, setting herself up to score her second run of the day. After five innings, the Hot Chauts cruised to a 7-3 victory, giving them their third win of the season. 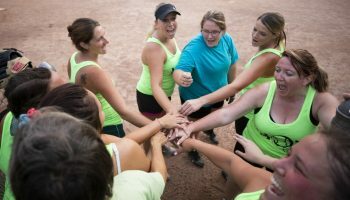 A relatively new team in the Chautauqua women’s softball league, the Hot Chauts have only been active in the league for three years, but have made their mark quickly, winning the championship last year. 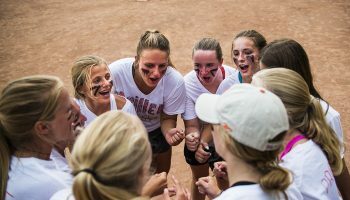 Belles team captain and women’s softball commissioner Carrie Zachry describes the Hot Chauts as an athletic and experienced ball club. 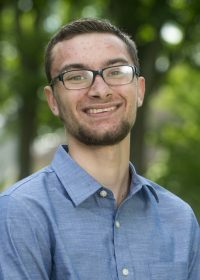 With a mix of Chautauqua summer vacationers and locals from Mayville, Bemus Point and other surrounding areas, the team bring a diverse set of players to the league. 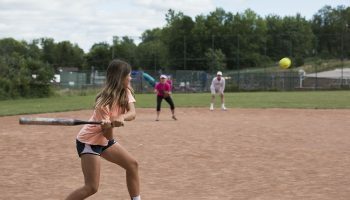 Some players even bring prior softball experience, including coaching. On the bench, the coaching tendencies and intensity shines through. At-bats are filled with cheers, encouragement and batting stance adjustments. Meanwhile, there’s silence on the bench except to discuss game strategy. Hot Chauts team captain Jen Tarr said the team loves playing in the league. The Belles may be the Hot Chauts’ polar opposite. They haven’t won a game in over a year. They consist of friends and family who play casually to have fun. Every run scored is a celebration. When a teammate gets frustrated, every player on the squad helps raise the morale. On the bench, they joke around and laugh about the random things that occur in the game. 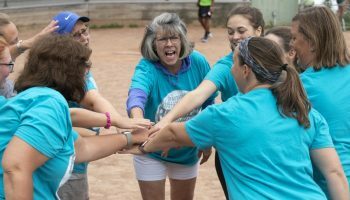 “We just pull a team together and have fun every week,” Zachry said. But regardless of each team’s game approach, once the competition’s over, members from both teams hang out with no hard feelings. The score matters, but in the end, the goal is to have fun, something Zachry said has been apparent this season.